Volume I is SOLD OUT! Volume II is in stock $16.95 plus $9.00 shipping and handling. 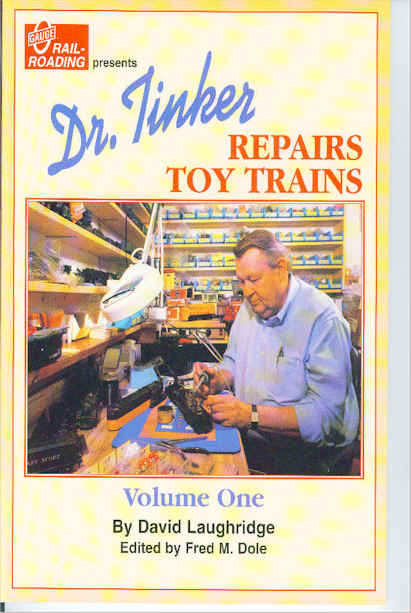 This helpful book is a must for the train hobbyist who wants to know how to maintain and fix up his old train. It includes repair techniques, service tips, and parts information. A valuable resource for your train library. The last issue of Dr. Tinker's newsletter, The Coupler®, was published in November 2002. Dr. Tinker has all back issues in stock at this time at $15.00 per year, including 1997, 1998, 1999, 2000 and 2001, in limited quantities, plus $9.00 shipping and handling. 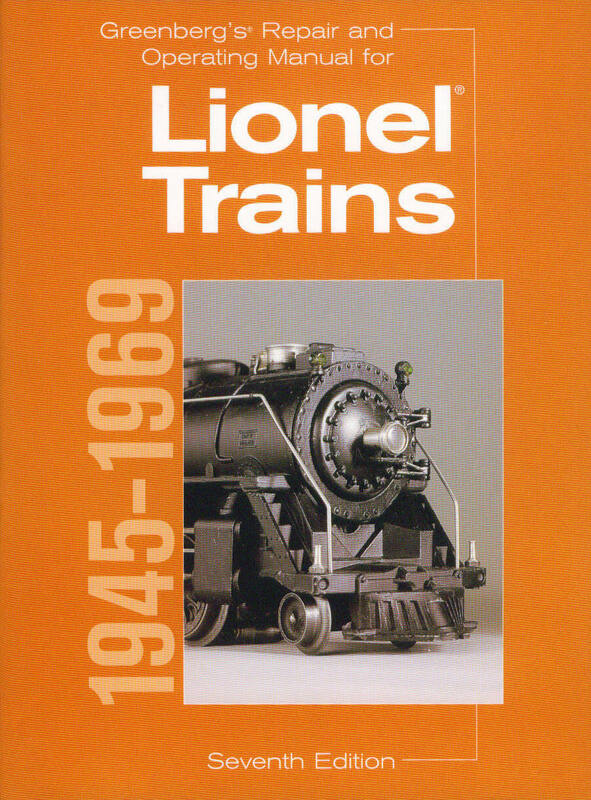 Learn what makes Lionel's postwar trains and accessories great! No toys have ever worked as consistently and imaginatively as the locomotives, operating cars, and accessories developed by The Lionel Corporation in the postwar era. Now learn about the mechanisms behind the success of those classic electric trains - and how to make simple repairs on them. The seventh edition of Greenberg's Repair and Operating Manual for Lionel Trains, 1945-1069, is essential for anyone who works on these trains and wants to keep them running smoothly and consistently. The price is $24.95 plus $9.00 shipping and handling. Please send a SASE ( 9" x 11") and $2.00 for parts list. This parts list contains over 20 pages of inventoried parts.